Submitted by akreider on Tue, 09/02/2014 - 18:30. 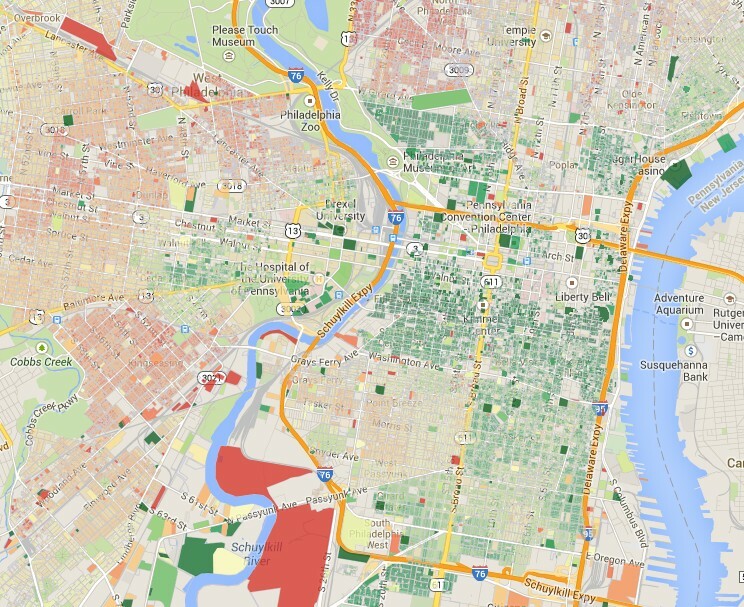 I made a map of Philadelphia housing prices using the 2014 property assessment data. I use value per square foot as the best indicator of housing quality and demand. If you use total property value - you get large differences that are due to property size. For instance, single family properties vary from 600 sq feet to 3000+. This map is based on the Office of Property Assessment April 2014 data release. Depending on who you believe, this data is either more accurate (Mayor) than the previous property assessment (Mayor Nutter) or less accurate (Controller Butkovitz).